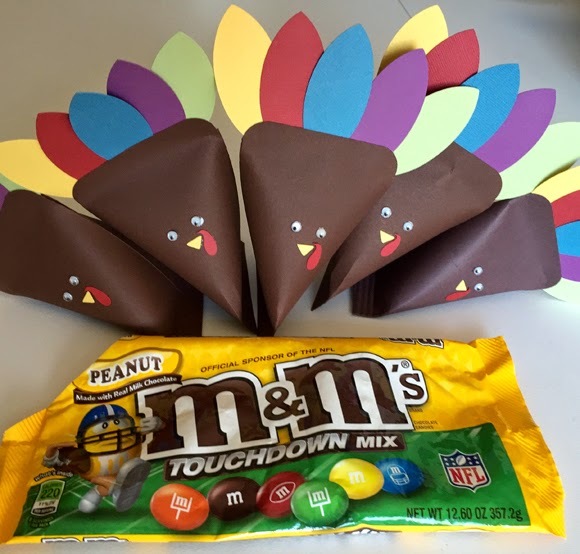 I know it's been a while since we last chatted, so I wanted to share a little crafty project for Thanksgiving...gobble, gobble! At my house it's going to be a day spent with turkeys and these guys are "stuffed" with NFL M&Ms, can you believe it? Turkey and football -- what better combination?! This Amy Robinson design is from the Silhouette Design Store. She's got several other holiday buddies to cut and fill! Here's to an enjoyable Thanksgiving filled with lots of reasons to be thankful -- gobble 'til you wobble, people!